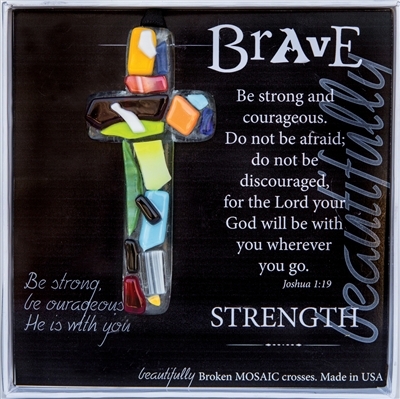 Our "Beautifully Brave" 4" mosaic glass cross from the new Beautifully Broken Mosaic collection is handmade in the USA. 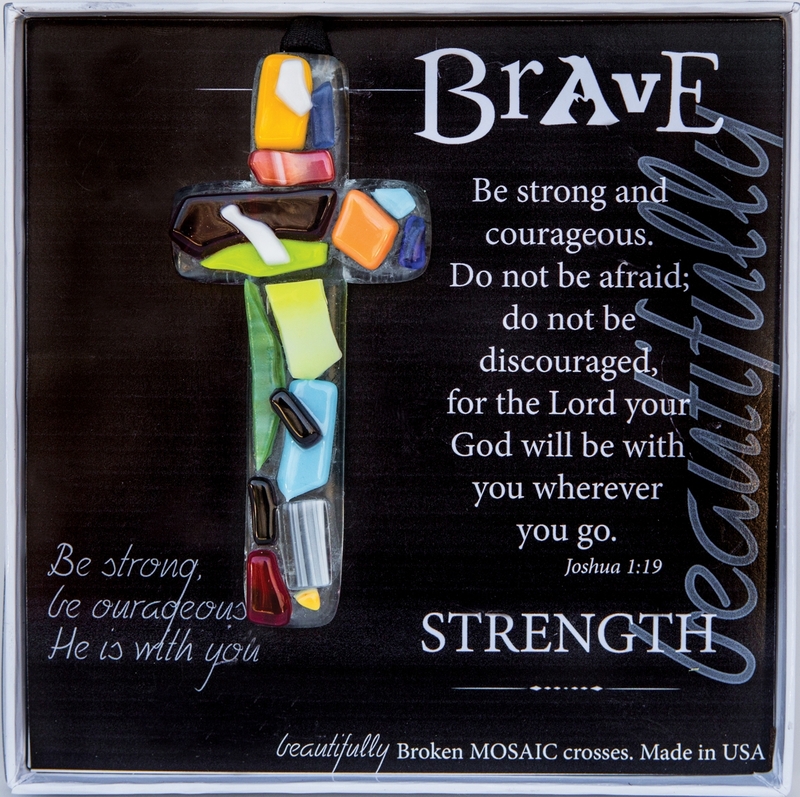 The perfect condolence gift for friend or Christian gift for family in need of strength. With encouraging scripture message the cross hangs from a black satin ribbon, perfect for display anytime of year and any place... a rear view mirror, window, drawer knob, bible page marker, ornament stand, keepsake box or Christmas tree. The message this gift of faith sends..."Do not be discouraged-- Do not be afraid", will be loved and appreciated as a treasured gift now and for years to come. Gift-boxed in white 5.5x5.5 clear top box with Beautifully Brave sentiment and art. I have now ordered from this company many times. The orders come quick and are beautifully packaged. Gifts are unique and well made. Beautiful and perfect for graduation!